Jeff Cable's Blog: Here are a whole bunch of photos from today's EPIC hockey game with the USA edging out Russia! Here are a whole bunch of photos from today's EPIC hockey game with the USA edging out Russia! Holy cow - this is the third blog post in less than 4 hours. This is definitely not the norm, which is probably a good thing for me and you. I could not keep up this pace, and you would all be sick of me overloading you with photos. But, since this was such a big hockey game, and I know that many friends back home are itching to see the photos, I am posting this as quickly as I can (after submitting to Team USA and posting the photos to the wire service). So...here we go, a pictorial replay of this amazing hockey game. As you know, I usually start my photo assignments with pictures of the fans. This time was no different, except that I decided to use the Canon 8-15mm fisheye lens for some of these. Normally I look for the USA fans, but since this was a Russian game in Russia, you could not help but capture the energy in the building. The fans were incredibly loud and really into the game. Every time the Americans would start chanting "USA, USA" the Russians would immediately drown them out with their own chanting in Russian. As I photographed the first half of the game, I literally sat in my position to the left and behind the goal, and photographed while smiling. The game was a classic matchup and one of the most exciting hockey games I have ever seen. The crowd was filling the building with energy and I felt every bit of it. I usually carry two cameras with me when photographing Olympic hockey. I use one Canon 1DX with the Canon 70-200mm 2.8 lens, and I also keep another Canon 1DX with a fisheye lens. I spend most of the time shooting with the 70-200 lens, but if the players come right in front of me (which is too close for the 70-200), I will quickly grab the camera with the fisheye lens, and fire away right up against the glass. I have prefocused the fisheye camera to about 2 feet from me. The wide angle lenses are much more foregiving than a zoom when it comes to focus. In other words, even if a player is a couple of feet off from my focal point, it will still look OK (as you see in the above image). Not so with a zoom lens. It got very physical as the game progressed. This was no exhibition game. These guys were playing hard for their countries and for the win. This made me laugh. At one point, Max Pacioretty was getting pushed around in front of the net. And then, when the whistle blew, he just looked at his opponent and smiled. Because I was sitting at the far end of the ice, and able to see down to the other end, I was able to shoot some photos of our team attacking the net. This was taken with the 70-200 and cropped in a bit. Not too shabby considering I am shooting through plexiglass. Jonathan Quick played an outstanding game. Max Pacioretty gets taken down, but is still able to make a play on the puck. Jonathan Quick living up to his name. ...and they scored the first goal. This was a fun moment during the second period. Pavel Datsuk went down, but as he did, he sprayed a ton of ice into the air. I was already focused on him, and was glad to catch this unusual moment. Then the Americans came back to tie the score at one a piece. See the puck in the net? And then the action continued...with the Russian's scoring another goal. I took this photo of the Russian goalie, Sergei Bobrovsky, as he prepared for his teammates to face-off in his own zone. Then the US scored to tie the game once again! Late in the third period, it looked like Russia had scored the go-ahead goal. They were ecstatic. But the goal was disallowed since the whistle had blown prior to the score (because the net had come off). Patrick Kane had a breakaway, and the crowd watched intently to see if he would score. But Bobrovsky came up with a big save. And then the third period was over and the game was still tied at 2 a piece. They had a 5 minute overtime, and neither team was able to put the biscuit in the basket. So...they went to a shootout. T.J. Oshie was amazing, scoring a pretty goal on the shootout. His teammates were eager to congratulate T.J. on the goal. But the Russians answered when they needed to and kept the shootout going. Joe Pavelski scoring a shootout goal to keep the U.S. in the game. Jonathan Quick couldn't stop everything as the Russian team refused to go down easily. The crowd was absolutely loving this (other than the one goal that was called back). Chock up another goal for T.J.
After he scored, he had this look of "yeah - I got this" and then he skated towards the bench. You think the team was happy? Then, Quick made another big save. And then it was the T.J. Oshie show again. He was amazing, scoring 4 times in the 8 round shootout to win the game for Team USA!!! USA 3, Russia 2. It was everything we had hoped it would be. 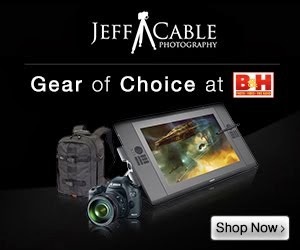 Jeff, just curious and I may have missed it previously, but are you there shooting freelance? Or are you working for someone in particular? If you are working for someone, did you have to get special arrangements from them to publicly post photos on your blog and Facebook? Jeff - Great shots! I think Max Pacioretty is laughing because the defenseman trying to push him out of the crease is normally his teammate in Montreal, Alexi Emelin. I think you captured that moment perfectly that shows how these guys play with their hearts during the game but once the whistle blows, lots of them are friends who have played together for years. Great pics and story Jeff. The fisheye photo and the spray of ice are great! You are definitely a "One Man Band" photographing the 2014 Winter Olympics and blogging about "Behind the Scene" without a backup crew! I love the fish eye shots. What a great game to shoot. Thanks for blogging this quickly! Love seeing all your photos. Great Shots! Love the clarity and emotion. Must have been fun. Thanks Jeff for your photo's and blog. You've given the Olympics a whole new dimension. I really can't get enough of your fantastic content. Great shots and commentary about them! Superb daily reports Olympics. A little more on bacstage photographers and equipment? THANK YOU for taking the time for all of us. I feel I'm following Jeff Cable first and the Olympics second. You bring so much to the games! Avid follower from snowy Maine. What an amazing game! Great pictures too. Loving the still shots of these players were you can see their expressions. Jeff, your pictures and stories are incredible, thanks for sharing!! It has very superior blog! I always accurately came here from http://klebebh.ch that thoughts to be extraordinary tenacious helping modify video in the humankind and it's rattling recyclable.